For over a decade, there has been the phenomenon of two musicians getting together to form a band. There has been a lot of music produced with only a drummer and some other musician as partners in a group over the years. The best known of these groups are The White Stripes and The Black Keys. However, other duos exist today that are currently trying to make a name for themselves. One such band is a group from Cleveland, Ohio that is known by the name of 2nd Half. It has been almost fifteen years that Ed Gandolf and Drew Scalero have been entertaining music lovers in the Greater Cleveland area. And while some duos that create music may sound a little sparse as far as their sound is concerned, that has never been a problem for 2nd Half. Even though it was only Gandolf on guitars and Scalero on drums when the band would take to the stage, thanks to some creative production and programming, the band sounded like a full band when in concert. For the majority of the band’s existence, 2nd Half existed as the duo. While Drew Scalero would handle the drum parts for the group, Ed Gandolf would write and perform every other musical part to their songs to fill in the guitars, bass and keyboards in their songs. Together, Scalero and Gandolf have written many songs that place the band’s style in the rock/modern rock category. Together as a duo, they have produced two albums: 2003’s Now It’s Real and 2006’s Left Behind. 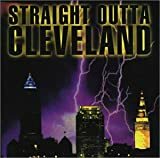 Having existed for a vast majority of their career as a duo, Cleveland’s own 2nd Half recently took the next step in their evolution and brought in two more musicians to help create the music for the band, both in the studio and on stage. To complete a new foursome version of the band, Ed Gandolf and Drew Scalero welcomed guitarist Matt Majoros and bassist Mike Bernot into the band. The newly-expanded band just recently celebrated the release of its first full-band album called Neverville. Neverville is 2nd Half’s third album release. To the amazement of longtime fans of the former duo, the new release from the group sounds and feels just like it was crafted by the two founding members of Gandolf and Scalero, keeping the band’s identity intact. The album starts off with the first single, “Two Wrongs”. The hard rock song lets the listener know that the band can create music that will make you want to move while enjoying the songs. The next track of “Memory of You” is just what the fans of the group needed to hear: This song makes a statement that says: ‘Even though things may have changed, they haven’t changed all that much.’ “Memory of You” is a song that features the band’s signature style of combining equal parts hard rock and melodic pop rock. And the ever-present programming is included, making the song instantly recognizable as a 2nd Half song. The newest album from 2nd Half spends its time split between the band’s hard rock sound and its hard rock/pop rock combination that fans of the band have come to love for these many years. One of the best tracks on the album is “One Night Alone,” a song that definitely NEEDS to be heard by the music-buying public. The song contains one of the best lines on the album: “One night alone, you’ve got me feeling so low” (or is that “solo”). While the makeup of the band has changed, certain things remain the same for 2nd Half. One of the main things that ensured that the band’s sound would remain unchanged was the fact that the new album was once again produced with the help of internationally known Cleveland-based producer Ben Schigel. As with the other releases by the band, Schigel keeps 2nd Half sounding like 2nd Half, no matter how many people make up the group. Doing something as dramatic as going from a duo where the two musicians have complete control over the sound and style of their music to a full band where more people have feedback can actually change or even harm the makeup of a band’s music; however, 2nd Half seems to have transitioned very smoothly from duo to full band with little or no noticeable difference in their music. And the band’s new album of Neverville is just as strong and enjoyable as the rest of the band’s catalog of music. To discover 2nd Half, find them online at www.2ndhalf.cc. You can also find the band on MySpace at www.myspace.com/2ndhalf. Thanks for the album review and write up! Awesome awesome site!